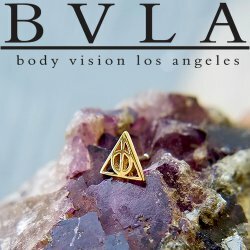 Gold threadless ends. 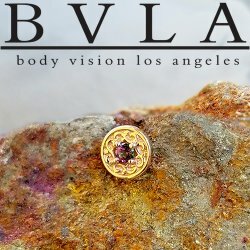 Press-fit gem ends. 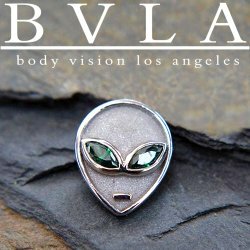 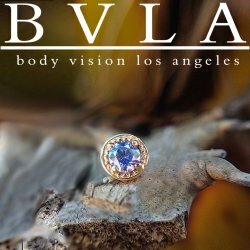 Made in the USA by NeoMetal, BVLA, Body Gems, LeRoi, Tether and Anatometal. 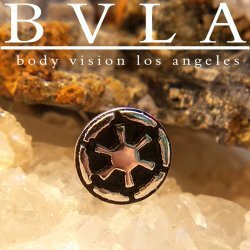 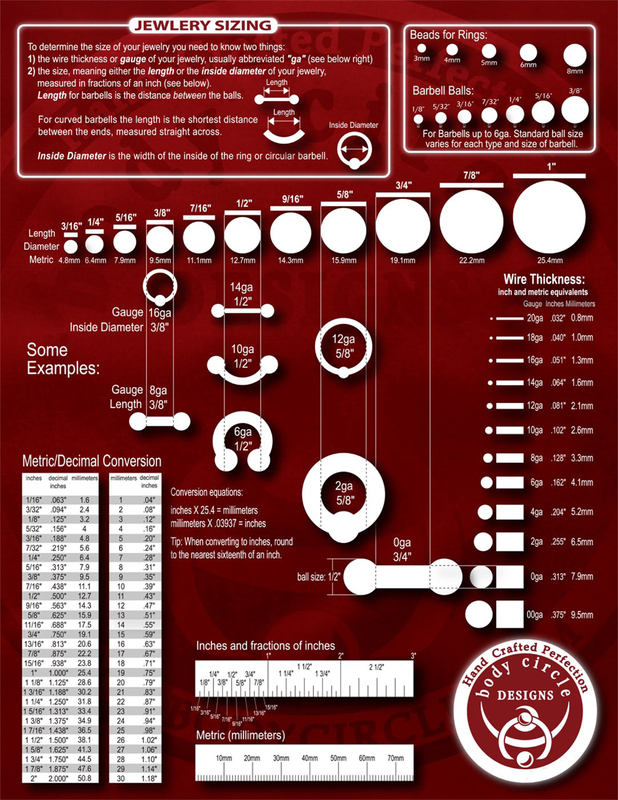 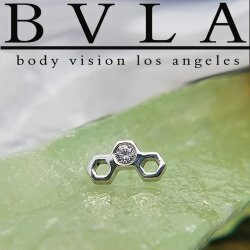 The "snap-fit" or "press-fit" threadless system is an effective alternative to internally threaded jewelry and is currently in wide use by many body piercers. 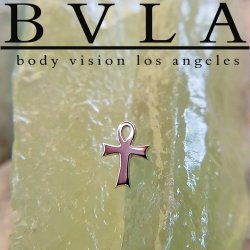 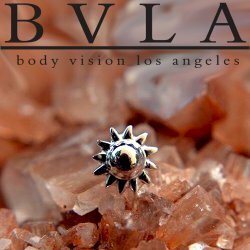 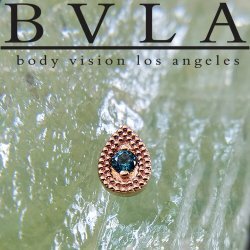 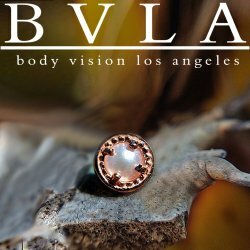 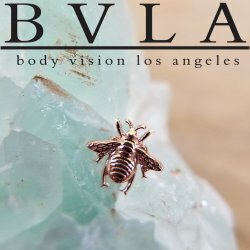 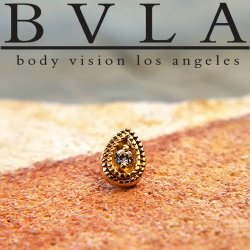 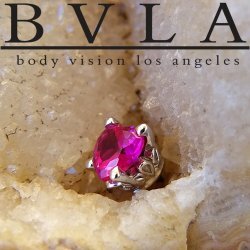 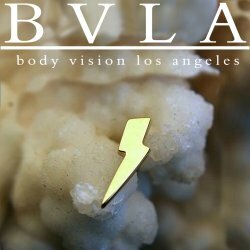 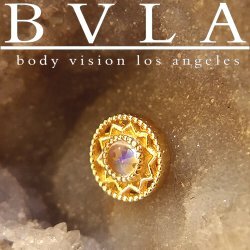 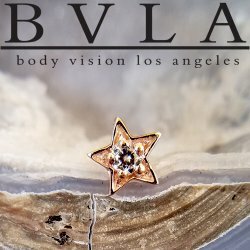 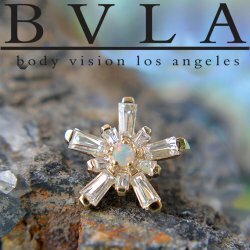 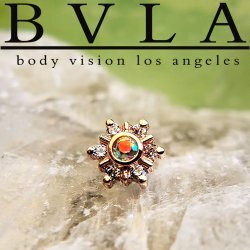 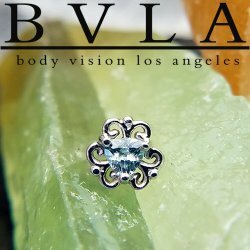 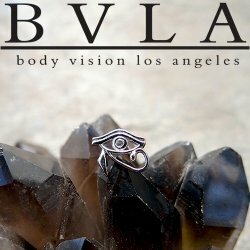 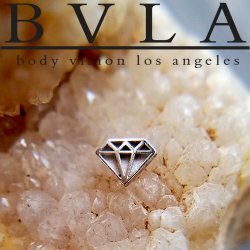 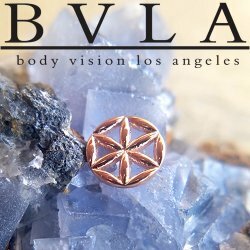 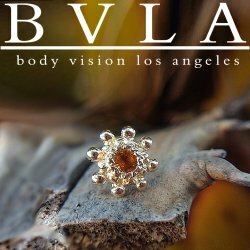 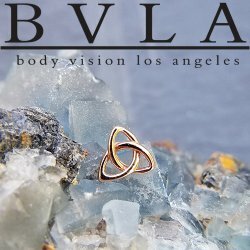 BVLA 14kt Gold "Lightning Bolt" 4mm Threadless End 18g 16g 14g "Press-fit"